At a speech last month about understanding the alt-right, Lindsay Schubiner showcases a grid highlighting the nuances of different manifiestations of white supremacist groups. In a lecture last month at Veradale United Church of Christ in Spokane Valley, California-based activist Lindsay Schubiner described different ways to fight against white supremacy. For one lesson, she pointed to John Tanton, the founder of the modern organized anti-immigration movement. As time had gone on, Tanton's anti-immigration rhetoric had become increasingly racist, even supportive of eugenics. "There was an organized effort to discredit him and push him out of the mainstream. When folks started going after him, other people said it was impossible. But what they did is really expose his beliefs and bring conservatives on board. Because he's working in Republican spaces," Schubiner said. "They built a coalition of folks who wanted to distance themselves from John Tanton and his influence. Once more conservative folks started going after John Tanton, other people felt they could voice their disagreement." It all culminated in a New York Times article that resulted in Tanton being largely shunned from the movement. It's a key lesson: If you want to stop the alt-right's quest to become part of the mainstream, recruit the mainstream right to isolate them and shun them. Indeed, local Republicans have repeatedly distanced themselves from alt-right leader James Allsup, former WSU College Republicans president. When national news broke that he'd secured a precinct committee officer seat with the Whitman County Republicans, press releases were quickly issued. “His past statements, affiliations and actions are deeply out-of-step with the values of the Republican Party,” the Spokane County GOP chair Cecily Wright wrote. "I don’t have a relationship with him, but I know what he stands for. His actions and words do not reflect the values of the Republican party or Eastern Washington," Rep. Cathy McMorris Rodgers wrote in a statement. "White supremacy, racism, and bigotry are never acceptable and have no place in America or Eastern Washington." That isn't the first time that McMorris Rodgers has condemned Allsup either. But for some on the left, allying with the right to fight white supremacy comes with a concern: Are they giving Republicans cover to say that they’re not racist, obscuring what they see as racist Republican ideology? 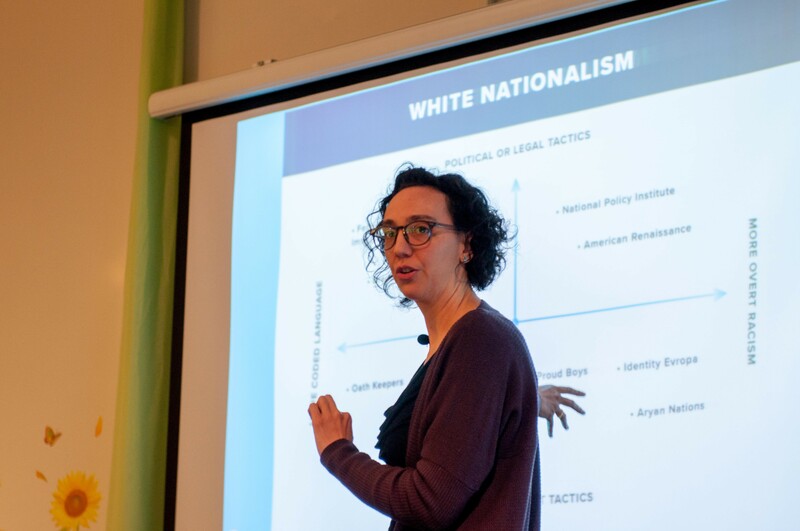 Last week, Spokane Community Against Racism hosted a talk by Gonzaga lecturer Joan Braune titled "Countering the Alt-Right Threat to Spokane." Mariah McKay, former Inlander columnist and champion of various left-wing causes, reached out personally to some of her Republican friends — the sort she argues with on Facebook — and invited them to attend. McKay argues that Republican leaders have an obligation to recognize that they have a responsibility to prevent the growth of extremist movements within their ranks. And the lecture last week wasn't about an opportunity for Republicans to grandstand, she said, it was an opportunity to ask questions. "I wanted to make sure that they’ve had access to the information I’ve been steeped in," McKay says. She also says she hoped that they'd ask themselves why the alt-right identifies closer to Republicans. "Why does James Allsup think he can infiltrate Republicans?" McKay asks. "Why does he think they can get a toehold in the community? Perhaps by learning more about the history of these extremist groups, they can be more self-reflective." McKay says the event was great. "People, our Republican friends included, left the room feeling empowered," McKay says. "There is historical precedent for beating these people back." And when Braune was asked about including Republican allies in the fight, McKay says, she responded that of course conservatives are a crucial part of stopping the spread of that kind of ideology. Spokane County Democrats vice-chair Jac Archer was fine with accepting Republicans who want to join the movement opposing the alt-right, but wasn't raring to actively recruit them. "When I see anti-racist movements, I go to them," Archer said. "I don’t have to be convinced. I don’t have to be cajoled." She resents the idea that she had to issue such a statement against Allsup. That, to be clear, is not because she's anything close to a fan of Allsup's. “I’d like to go punch the guy in the nose myself,” Wright jokes. But to her, the idea that Republicans don’t support white supremacy is so obvious that it shouldn’t even need to be said. "The way I look at it is both parties absolutely abhor racism," says Wright. She says she marched in civil right rallies back in the '60s and says the more people focus on racism, Wright argues, the more divided the country becomes. Rallies can throw gasoline on the fire, she says. "I don’t really want to honor the nutjobs with something like that," Wright says. That's one of the big challenges in forming a bi-partisan alliance against racism. Democrats and Republicans can't always agree on what racism even is. To generalize, on the right, racism is something evil that a person believes in their heart and mind. But on the left, the definition goes much further: Racism is about power dynamics, a toxic ideology embedded deep within societal structures. Shortly after Trump’s election, the n-word was spray-painted on Spokane’s Martin Luther King Jr. Family Outreach Center. 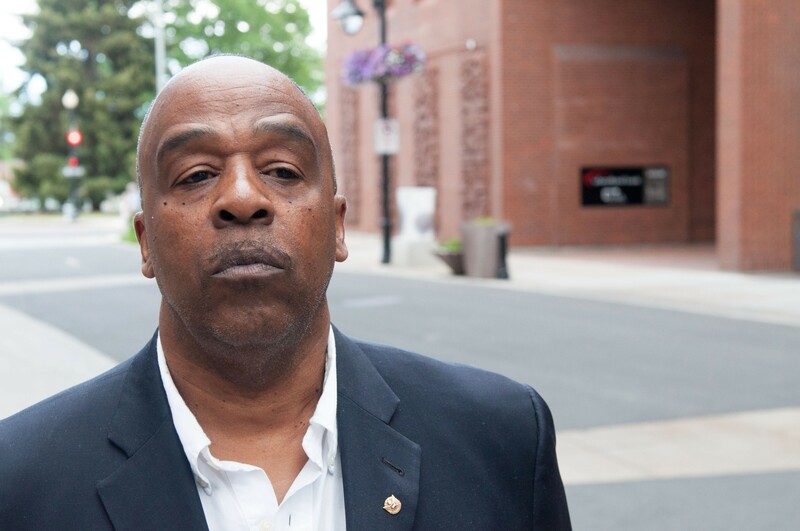 U.S. Representative Cathy McMorris Rodgers reached out to then-NAACP president Phil Tyler to figure out how to respond. Together, they co-founded the “Peaceful Communities Roundtable,” a group of community leaders from a variety of backgrounds aiming to combating racism and finding solutions. But for some on the left, it was an outrage. "I remember people being pretty upset," McKay says, "For her to think that because she can shake hands with a black man and take a pretty picture that she's an ally of communities of color is very shallow." McKay raises concerns that events like these can be more of a photo-op than productive, that it can mask the actual conversation that needs to happen. "It’s easy to demonize one boogeyman and then turn around and pass policies that disproportionately impact [people], and not bat an eyelash about it," McKay says. But others have been more supportive. In May, Rodney McAuley, a black pastor with Youth For Christ, told the Inlander that he'd attended the roundtables with McMorris Rodgers, and believed that the events have been genuinely influential. "I have had occasions to be in different settings and personally observed a journey of compassion and heart-shifting in Cathy," McAuley says. "I can state that unequivocally." Even if they don't see eye to eye, McAuley argues, they can build relationships and combat division together. Pastor Walter Kendricks wants to restart the Peaceful Communities Roundtables. After the Unite the Right rally in Charlottesville — attended by Allsup — Trump gave an " unequivocal boost" to the white supremacist movement, according to the New York Times. White supremacist figures like David Duke and Richard Spencer praised Trump's comments that there are "very fine people on both sides." And for some on the left, the president who spouts textbook racist comments; who launched his campaign accusing Mexican illegal immigrants of being rapists and criminals; who uses words like "infested" to describe migrants; and who refers to immigrants from Africa as coming from "shithole countries," doesn't just give aid and comfort to white supremacy, he embodies it. "It is often said that Trump has no real ideology, which is not true — his ideology is white supremacy, in all its truculent and sanctimonious power," writes Pulitzer Prize finalist Ta-Nehisi Coates. And that complicates any alliances between the left and the right to combat racism: One side supports Trump. The other thinks he's the embodiment of racism. After the Charlottesville rally, McMorris Rodgers repeated her opposition to white supremacy. But local Unitarian Universalist minister Todd Eklof condemned McMorris Rodgers for being "complicit" in racist violence for not taking a stronger stand against Trump. In several occasions, McMorris Rodgers has called out Trump on his offensive statements. But that hasn't, say, stopped McMorris Rodgers from being jeered at by left-wing hecklers at Martin Luther King Jr. events two years in a row. Pastor Walter Kendricks, the black pastor of Spokane's Morning Star Baptist Church, hosted the "Countering the Alt-Right" event. He considers McMorris Rodgers a friend and has been a part of the Peaceful Communities Roundtables. He says he appreciates the times when she has criticized Trump's offensive words. “Is it helpful that she condemns the statements? Yes,” Kendricks says. “The flipside to that: I think it was [black novelist] James Baldwin who said, ‘I can’t hear what you say because I see what you do.'" In other words, Kendricks feels McMorris Rodgers still votes in a way that is not in the interest of the everyday working people. He wants her take a stronger stand, not just with her words, but with her actions. Kendricks says the Peaceful Communities Roundtables have not been held since the Inlander reported on the long history of domestic violence allegations against Tyler, the Roundtable’s co-founder. He says he plans on reach out to McMorris Rodgers this week to restart the meetings. “We have to reach out to the people of good will from every political party from left to right,” Kendricks says. NEWS: A new website — wahealthcarecompare.com — lets patients compare prices for different procedures in their area based on zip code. NEWS: Get ready. The voter registration deadline for the Washington primary election is fast approaching. If you plan to register to vote in Washington's August primary election the deadline for online and mail-in registration is Monday, July 9. Barring that, in-person registration can still be done at your county elections office until July 30, and if you miss the deadline, you should contact your local election office for more information. 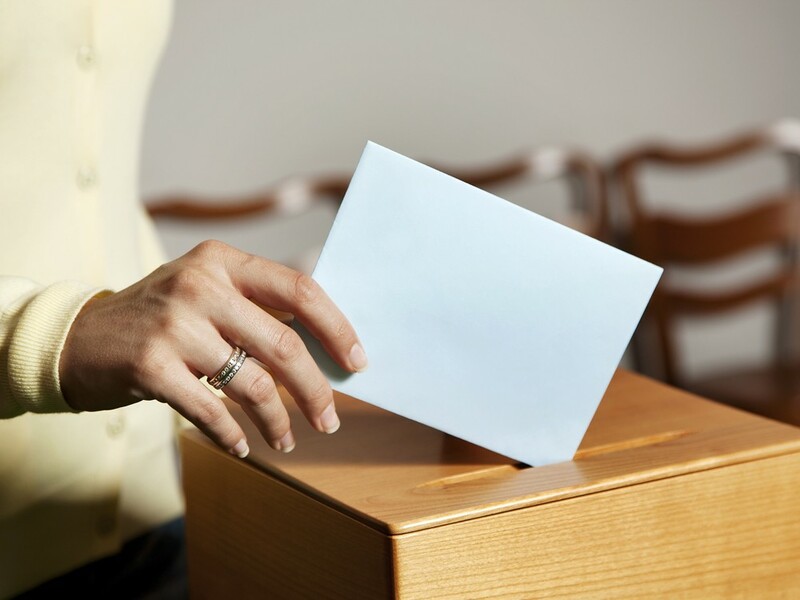 This week is also a busy week for statewide voter initiatives, which need to turn in signatures by July 6 to qualify for the November ballot. For this year, initiatives need at least 259,622 registered voter signatures to qualify, and the Washington Secretary of State's Office recommends the groups submit at least 325,000 to allow for invalid signatures. On Monday, July 2, a coalition of environmental, tribal and business groups under the umbrella of Yes on 1631 submitted 370,000 signatures for Initiative 1631, which aims to fight climate change impacts and would "charge 'pollution fees' on sources of greenhouse gas pollutants and use the revenue to reduce pollution, promote renewable energy and address climate change impacts, under oversight of a public board." The state started preparing those sheets to be counted immediately. Another group that's been out collecting signatures is Yes! to Affordable Groceries (measure 1634), which is backed by major food companies and industry groups that want to prevent local governments from instituting taxes on things like sugary beverages and other items as the city of Seattle has done. That measure would "prohibit new or increased local taxes, fees or assessments on raw or processed foods or beverages (with exceptions), or ingredients thereof, unless effective by January 15, 2018, or generally applicable." Groups have until 5 p.m. Friday to turn in their signature sheets. Mark your calendars! Important dates for this year's Primary and General Election! Patients can now compare prices for some types of services between hospitals in the area thanks to a new Washington state tool. Say you need your knee replaced and you live in Pullman, how do you know whether it'd be a better deal to stay in town or head up to Spokane? What about checking on the quality of care people felt they received after that surgery? Washington state has created a new tool to help with exactly that type of decision making as part of an effort to make health care more transparent. By using the new site wahealthcarecompare.com patients can compare prices for different types of surgery and doctor's visits in their area based on ZIP code and contrast that with the state average. Other information, such as the star-rating of a particular office or hospital, is also provided based on quality measures applicable to that type of facility. Using the tool, it's easy to find out that a knee replacement would typically run you about $22,282 at Pullman Regional Hospital (based on a typical range from $18,668 to $30,639) while in Spokane it would typically run $26,297 at MultiCare Deaconess or $32,787 at Providence Sacred Heart (also based on ranges), according to 2016 prices. Not every service or type of surgery has data available on the site. 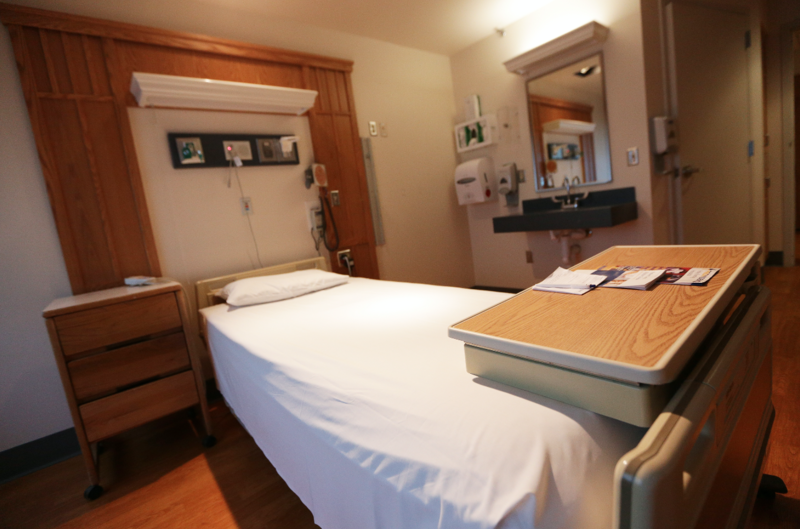 If you went to Kadlec Regional Medical Center in Richland, the typical price was about $11,344 in 2016, while it was $14,191 at Sacred Heart Medical Center and Children's Hospital. It was typically $539 at Providence Holy Family Hospital, $451 at MultiCare Deaconess Hospital, and $349 at Lincoln Hospital in Davenport. People can also use tools on the website to compare quality of care based on area and type of insurance coverage. MUSIC: The new music venue being opened by the owners of the Bartlett has a name, and lucky for you, it might open this fall. MUSIC: The new seating area at Northern Quest didn't disapoint as a crowd showed up for some '90s nostalgia last week. NEWS: How do you fight hate without giving groups attention that can bring their bigotry into the mainstream? After being asked to leave a low income apartment complex in Boise, Saturday, a man is accused of stabbing six children and three adults, all of whom are refugees, at a 3-year-old's birthday party, the Idaho Statesman reports. 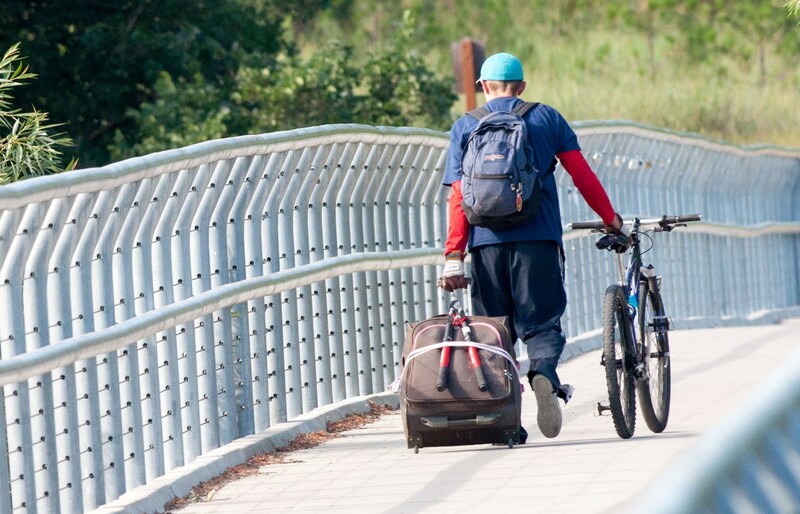 A gentleman drags a bicycle and rolling suitcase with lopping shears strapped to the back over Sandifur Bridge on the morning of Friday, June 29. The Sasquatch music festival has gone the way of Elkfest. There won't be one next year. 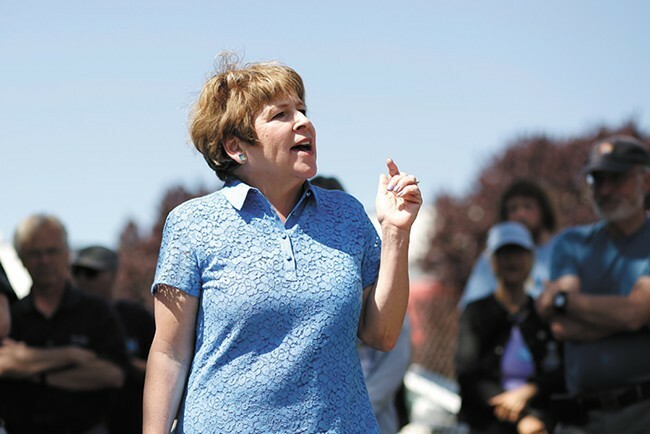 NEWS: Democratic candidate for Washington's 5th district, Lisa Brown, is generally critical of the current administration's immigration policies. And she's quick to call out her opponent, Rep. Cathy McMorris Rodgers. But Brown has yet to offer any specifics on her own views. NEWS: Pullman's revival is in full swing. Now what to do about the rot in the middle? OUTDOORS: The annual Outdoors issue is on stands today. It's packed with stories about trail-builders, urban wildlife and some breathtaking photography. Here, we compiled some of the best spots to hike, camp, bike, paddle and do pretty much anything else out of doors. Supreme Court Justice Anthony Kennedy announced his retirement yesterday. For the past three decades, Kennedy has spent his time in the court's ideological center, often casting the critical "swing vote." Kennedy has rejected that moniker. Yet he's sided with more liberal justices on gay rights, abortion and affirmative action. On voting rights, campaign spending and Second Amendment cases, Kennedy went to the right. U.S. Rep. Cathy McMorris Rodgers dodges tough questions like a politician. She'll dodge by answering questions you didn't ask for. She'll seek to return to safe talking points. ("Donald Trump was elected president... .") Sometimes, you have to ask the same question two or three times to get a straight answer. But her opponent, Lisa Brown? So far, she seems to dodge tough questions more like an academic — or a college administrator. She'll say she hasn't formed a view on that issue yet or doesn't have enough data. She'll call for the creation of a committee to study the topic. She'll suggest she wants to spend time listening before articulating a position. Brown first entered politics in the Washington state Legislature in 1992. She spent two decades in the thick of the political debate, rising to become the Senate Majority Leader of the Washington state Democrats. But on one of the most controversial issues of the day, immigration, Brown offers fiery critiques against Trump and McMorris Rodgers, but says that she hasn't yet developed specific answers to several major questions. And it's not clear whether she will before the election. Last week, in an interview with the Inlander in the midst of the national outcry against Trump's family separation policy, Brown joined the chorus of condemnations against Trump, calling his policy "both inhumane and a human rights violation, particularly given that some of these families are fleeing desperate or even violent situations and seeking asylum here." She called for Trump to end his family separation policy and argued that the Deferred Action for Childhood Arrivals (DACA) program should be reinstated as well. And then, she says, there needs to be "a comprehensive immigration bill that is negotiated between the House and the Senate and the Democrats and the Republicans. It would be multifaceted and long overdue." She says that sort of bill should address issues around temporary worker programs, the asylum process and border security. She's critical of Congress' inability to strike a bipartisan compromise. But when pressed on what her ideal immigration system would look like, she offers few general principles — and even fewer specifics. "Should border security be increased?" the Inlander asks. "I think that border security is part of immigration policy," Brown responds. She declines to elaborate on what that border security should look like, or whether it should be increased or not. 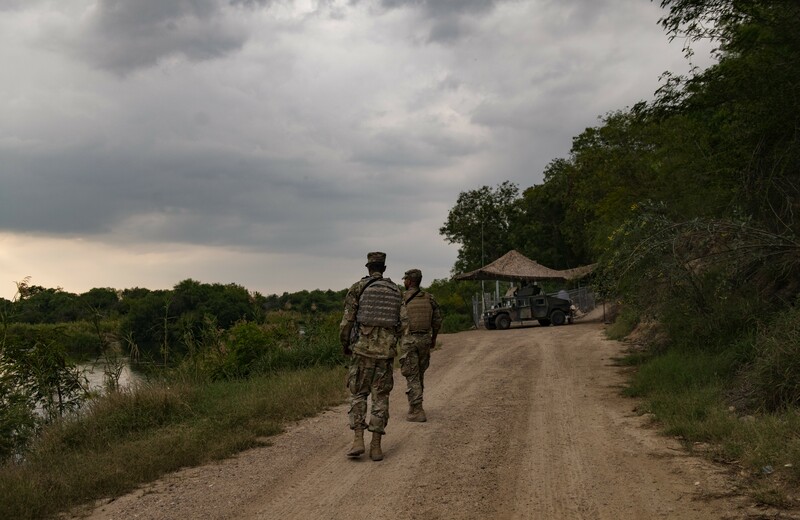 Members of the U.S. National Guard near the border with Mexico in south Texas, April 10, 2018. National Guard troops in four states will not deploy to the southern border, the states’ governors announced the week of June 17, over mounting objections to the Trump administration’s policy of separating children from their parents there. "I’m not prepared to talk about all the details on all the bills that are out there," she says. Should we decrease or increase legal immigration? Should Immigration and Customs Enforcement be abolished, as some activists — including a surprise winner of last night's Democratic primary in New York — have demanded? "I'd have to review that as well," Brown says. The Inlander asks about a concern raised by some that by not detaining asylum seekers until their hearing that they may disappear and never show up for court. Brown says that's something she would be digging into — if she were in Congress. "That’s the kind of thing that were I in Congress, I would be listening to the evidence to be coming forward from law enforcement, the legal justice system, and a whole variety of stakeholders who have knowledge of the process, and then weigh the pros and cons of how to move forward to have the right systems in the right place have a fair system," Brown says. "Really that hasn’t happened. There’s been a logjam in America for quite a long time." And how about the visa system? What should we do to improve it? Brown says that she's heard from constituents that there are bureaucratic problems with the system that needs to be reformed. "I don’t have the details of what that should look like," Brown says. Brown argues that, as a candidate, she doesn't have the same power to get answers as she would as a policymaker. "My approach as a policymaker was always to get an analysis of a status quo and the problems that the people in my district are experiencing with it," Brown says. "That is, to understand the lay of the land … and then work on a path forward. As a candidate, I'm not in that position." She says she'll be happy to comment on specific bills that are introduced or to raise issues raised by her constituents. But don't expect her to come out with, say, a detailed immigration plan. "I’m not prepared to put out a comprehensive immigration bill," Brown told the Inlander last week. In other interviews, Brown has given slightly more hints about her position. In an Inlander interview in May, Brown slammed McMorris Rodgers for using DACA recipients as "bargaining chips" as part of a larger immigration deal, said she was opposed to Trump's wall proposal and also suggested she might be open to a form of amnesty. "We have people here who are living in the shadows," Brown said. "We need to come up with a process of bringing them out into the open and giving them ways to work towards citizenship." And in February, a Spokesman-Review questionnaire laid out the general positions of both candidates, with Brown staking out positions supportive of DACA and family reunification, but opposed to Trump's border wall. But here too, she was vague in several areas. “I don’t think an arbitrary number is the right approach,” she said when asked about how many refugees should be allowed in the United States each year. On guest worker visas she said she needs to study the issue more to find out which changes need to be made. More than four months have passed since. Immigration isn't the only area where Brown has declined to outline a specific policy on major questions. 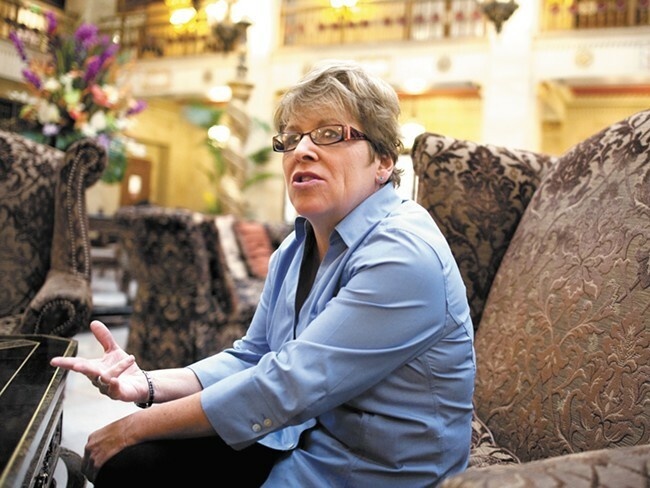 Lisa Brown in a 2012 Inlander story. Asked if she'd support a bill to ban AR-15 rifles, Brown doesn't say yes or no. Instead, she says that she'd form a bipartisan committee to study the issue. "I'm not going to prejudge where that would lead," Brown tells the Inlander. "I don't come into my candidacy for Congress with a 10-point plan. I'm traveling throughout the district and listening to what people have to say." Contrast that sort of language with a story from 2012, and notice how deeply Brown plunges into the weeds and how specific she gets when talking about her advocacy for an income tax and family leave policies. Immigration, meanwhile, is a particularly important issue for a candidate who desires to serve on the House agriculture committee. And unlike, say, taxes or education, we don't have a long record of statements and votes from her state Legislature years to understand her views on immigration. The only argument is the Trump argument and the anti-Trump argument, but that is a fraction of the complicated conversation we need to have about the fact that our immigration system is totally broken." If Brown wants to have that complicated conversation — and talk specifically about what sort of comprehensive bill she'd support and what kind she would oppose — the Inlander will be ready to write about it. In the meantime, McMorris Rodgers has been in the thick of detailed immigration policy discussions, caught between two wings of her own party. She was part of the leadership attempt to quell the moderates who wanted to push a standalone DACA bill, but also voted in opposition to a hardline immigration bill championed by Idaho's Raúl Labrador. Yet her own preferred comprehensive bill failed miserably today, 301 to 121. Now, McMorris Rodgers says she's going to take the lead on a more narrow bill to address family separation legislatively. TV: The Maze was not meant for Wilson. An Inlander staff writer shares his disappointment with the season two finale of Westworld. 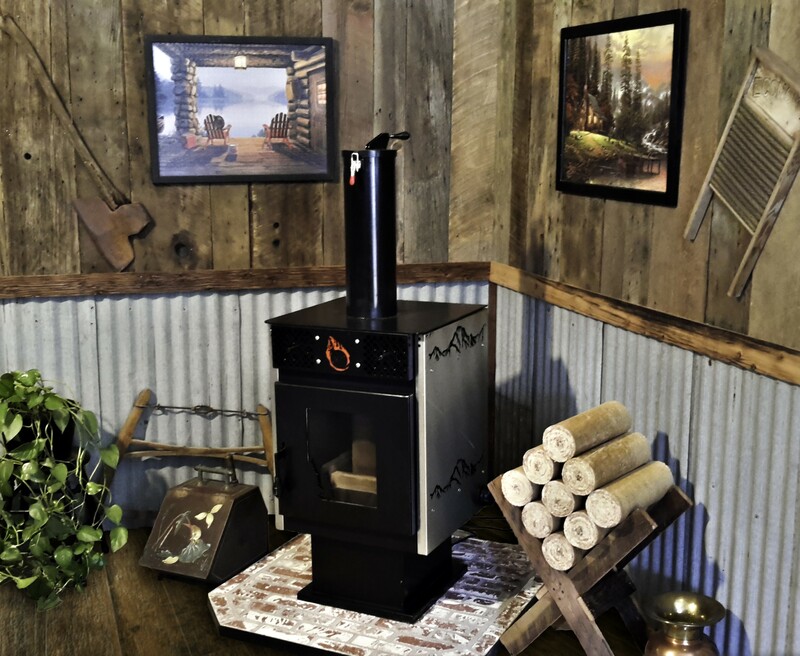 BIZ: A local company in State Line is bringing its wood stove, “the Optimum stove,” to a Washington, D.C. competition for “green heat.” The stove design is built to uphold new standards put in place by the EPA by 2020. MUSIC: The I Love the '90s Tour is coming to Northern Quest on Thursday with Salt-N-Pepa, Vanilla Ice and others. This is either super fresh, or totally lame. Read our review of other '90s acts we think deserve the nostalgia treatment. Hip-hop pioneers Salt-N-Pepa are among the stars sharing the spotlight during the "I Love the '90s" tour.